Why Tim, where have you been? 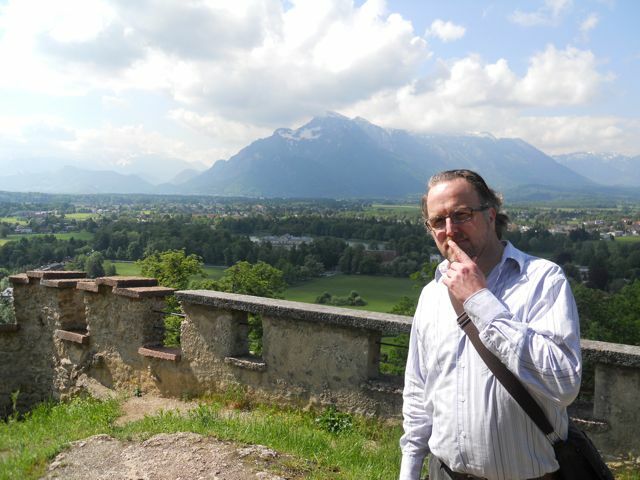 Here I am looking thoughtful in Salzburg Austria. So many beautiful places and saw an extraordinary amount of art in person, Rubens, Schiele, Bruegel, Rembrandt and Dürer all were delightful to see and spend time with. Yes, I’ve been a bit out of touch here as of late. I have been traveling with a wonderful group of 16 students and another teacher in Germany and Austria for the past three weeks. Man-oh-man I never do so much walking as I do on these trips. Stairs, many stairs…. For me one of the best parts of the trip was an over 10 mile walk I did solo along the Danube walking from Krems to the town we were staying in, Spitz. It took me a while but I got to go through some wonderful small towns and vineyards and had a very long and good talk with God. Lets just say there were some things I needed to let go of and leave in the Danube while I was there. This is a photo of the lovely town of Weiskirchen that I walked through. I grabbed a soda and some nosh in this fine little town. • People take A LOT of pictures now a days… I really don’t think digital cameras have aided ones viewing abilities. If anything, I think they really detract from the experience. We have developed such a visual surfing culture that individuals don’t know how to edit. I have I watched tourists simply click away on their camera at a pretty site or in a museum, and never once stop and really look at anything with any time and consideration. Taking a picture does not have an intrinsic cost, and I think if it did, individuals would be more thoughtful with their gluttonous camera use. Their is almost a consumer mentality as toursits voraciously click away. If anyone ever invents a device that jams digital cameras, I’d be interested. Stop and look people, draw, contemplate, really take in what you are seeing. • It’s O.K. to stare at folks in Germany and Austria, they do it more often than we do here. That was a little disconcerting at first. • Bread, cheese, franks and schnitzel. Get use to them, you’re going to see a lot of them. • We Americans are LOUD people. 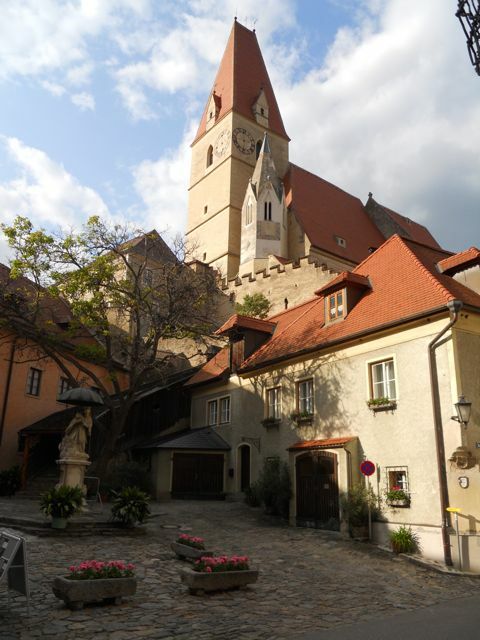 This entry was posted in Uncategorized and tagged not using a digital camera, notes from travel, travel in Germany and Austria, Univeristy tri, Univeristy trip. Bookmark the permalink.